Playing for the Shameless showcase, always enjoy his seamless techno sets. Learning a lot from you Chris! Decibel Festival has spoiled me rotten, here’s what I recorded from the first of five days of international music, digital art and new media. Ean had a strong determination in his DJ set, I really got that this was the result of heavy planning and practice. Brought in some heavy rock, looked excited, and got quite a few heads nodding, some people even danced.. Many people have had that moment with music, whether it be a concert, album, or just one song that sweeps them up into new, life-energizing states of being. That moment with electronic music hit me when I wandered into Daft Punk’s Alive 2007 show. I went from almost no knowledge of electronic music, to flying down the freeway afterward thinking about becoming a DJ. Bringing a taste of the experience they gave me to new audiences, to work towards developing a strong theme and vision. They continue to challenge themselves, fellow artists, and listeners – I hope we are all ready for what comes next. Up next, a look at french producer Basic Slack, who has remixed the Tron Legacy theme. Along with this interview, BS has been very nice, providing me with a remix..I now provide it to you! 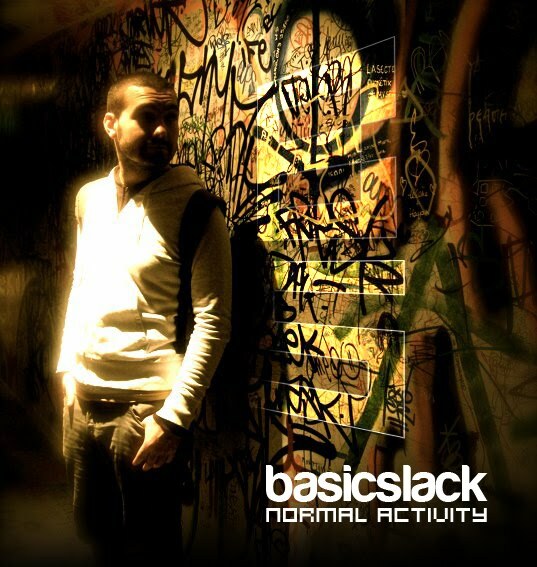 1.Basic Slack! Hello. This is going to be quite the post. How are things in France? I hope it will be ! Things are quite good for me , actually the sun is shinning so everything is ok.
2. What sparked your love for electronic music? Was their a certain show or album that got your interest going? 3. 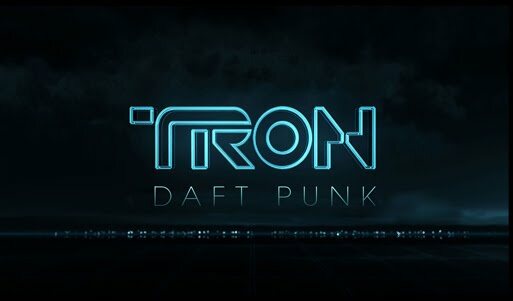 You’ve recently remixed Daft Punk’s theme for Tron: Legacy, and gathered over 180,000 views on Youtube! Congratulations first off. How has Daft Punk influenced your development as an artist? Have these French wonders contacted you at all about your remix? Thank you. I was the first surprised by those near 200,000 views! And taking 100 views by week. It’s quite unbelievable because I’m a Graphic Designer; Music is more like a big hobby for me. And the thing is that it’s not even me that put the video online. Daft Punk didn’t contact me at all. But lots of messages from viewers, DJ’s and listeners, from all over the world. And this was a premiere for me. 4. How long did it take to make that remix..and with your production process, how long did it take before you were creating finished songs that your were happy with? For that remix I think I made it in few days during 2009. On a recent iMac and an old but powerful vintage Pioneer AMplifier SA-510! I used LogicPro9 and some good AU/Vst like Vanguard, Albino3, Predator, Nexus. I got it from Youtube, the first video of the “Comic-Con2009 Flynn’s Arcade” where the first neo-lightcycle of the TRON sequel was presented. The music in the back was the “theme” made by Daft themselves! So I put my headphone on and try to rewrite every key of the song to get the main flow. It was really hard to hear everything because the sound quality was poor, and many voices of the crowd were on it. I think that was the longest work on the track. The mastering was very important too, especially when you want to have a powerful sound like the daft. But I think I’m still far from their mastering :). The vintage Amp was a gift at this time. There is no samples from Daft Punk original theme, in fact there is no sample at all* in this production ! It’s more like a cover. 5. Who in the electronic community is really pushing the boundaries to you? I think everyone that tries to create is already pushing things good ^^. To be more precise, I think more of LABELS like Ed Banger, Kitsuné, Kompakt,Electroshock,Mau5strap.…thosse are, in my point of view, signing artist with new sounds, new style to discover. 6. What do you plan on developing with Basic Slack? Any big projects in the works? I recently finish “Normal Activity” with 5 tracks in it, like a prequel of the upcoming Album that will be more like a Justice+SebastiAn like. Working on several projects like new interpretations of the Tron Legacy soundtrack, and other pieces of my own. Also received a lot of request from dj, to get my tracks or even work with them on their difference productions. But in fact i like so many type of music, that i’m trying to test everystyle, and this make a good exercise. 7. How would you encourage other artists aspiring to develop their creativity? Well, i think the first thing is never to give up, and always practice. To listen to a lot of music and all styles, even ones that you don’t like. There are always ideas to get in any tracks on earth. The copy of the remix can be found on my Facebook page ! It’s nice to relieve some stress..take that stress!